Some times you just don’t feel like making rainbows. Or in tonight’s case, I just wanted to keep knitting my maroon mittens. So I did. Here’s a few dodgy photos to show my progress. The other day I had one mitten. Now I have two! I just need to finish the crochet shell edge on the right hand, and then to add a couple of buttons to the cuff, before they’ll be ready for sale. Knitting these mittens did inspire me however to maybe crochet some rainbow mittens for one or two or three of my nieces. You can find a great free pattern on ‘The Green Dragonfly‘ by Jeanette Williams. 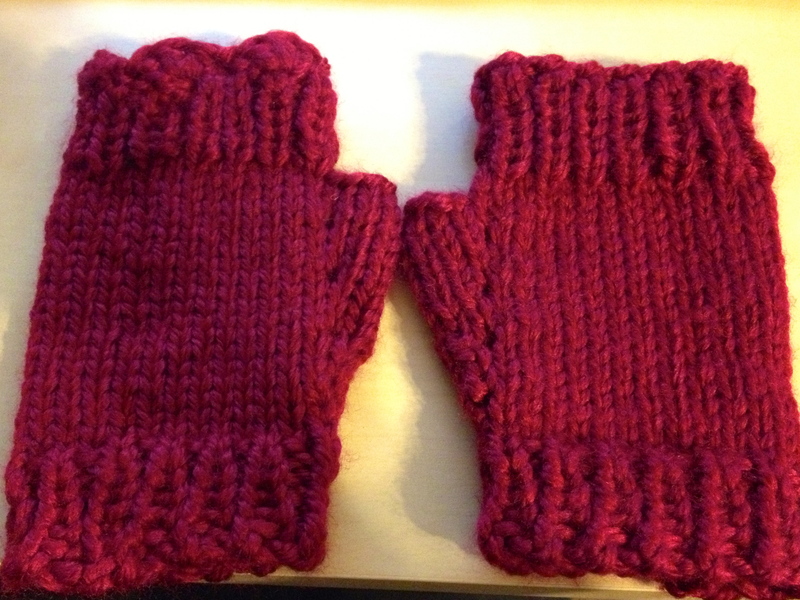 I would love to post an image of the mittens here, but as they’re copy writ you’ll just have to head over to Jeanette’s awesome blog to see what I’m talking about. I promise I’ll get back to rainbows tomorrow! Thanks for sharing, your mittens are great! !